The first place we lived in Richmond was a very old house (there was an ice box attached to the kitchen) that had been turned into a duplex. Our bedroom windows looked at each other over a little empty space. 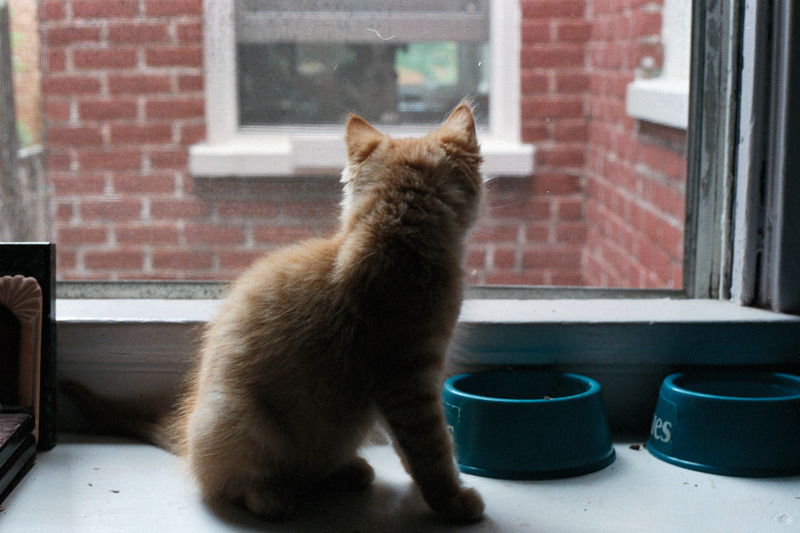 What I see here is our dog, Topaz, and our new kitten, Idgie, peeking at each other through the windows. What I think is I'm glad I took this photo, because it's so much clearer than the picture I have in my memory. of showing us what really matters. 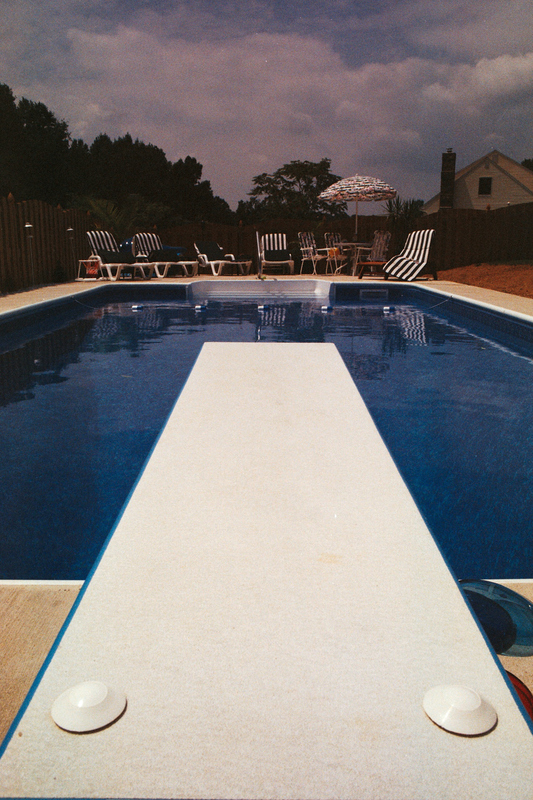 Once upon a time I sold swimming pools in the family business. What I see is one of our finished pools. 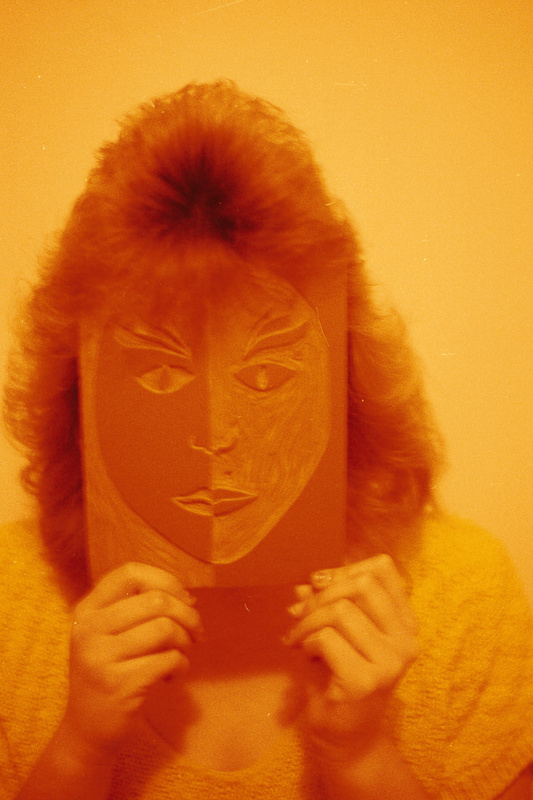 What I think is that, in the world I am growing up in, our lives are somewhat segmented. There are so many parts: so many jobs, so many relationships, so many places I've lived, so many different things I have done. There are so many people I have already been, and more are on the way. but an accumulation of separate lives. When I was young, I just loved clowns. I have no idea how that got started, or why I loved them so much, but I did. So why are pictures like this such a surprise to me? How is that something I forget? 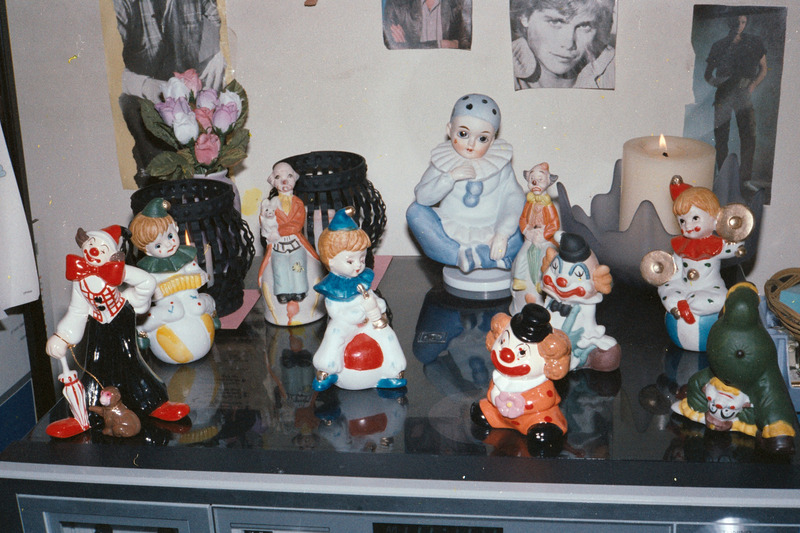 What I see here is a grouping of some of the clowns that I had collected (note the wall art!). What I think is that it's amazing how much we change over the years and how many things there are about ourselves that even we don't remember. 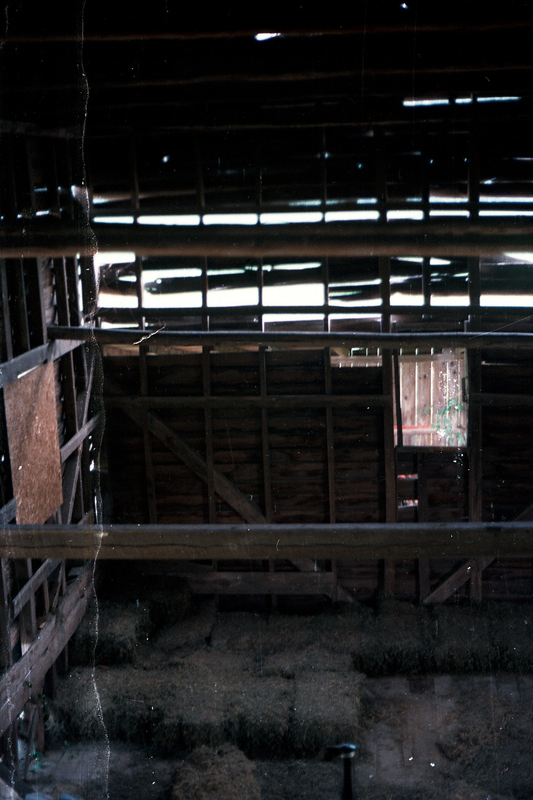 This is a very old picture of a barn that fell apart long ago. What I see is a wall that's as much hole as wood and bales of hay that appear to be moldering on the floor. What I think is how like memory this is, a snapshot of things that no longer exist, imperfect, color faded, and encompassing so much less than what I'd like to see after all these years. And here are the tracks that yesterday's old buildings were gathered around. The building in the background here looks well-kept, and I wonder if that was a little station once upon a time. 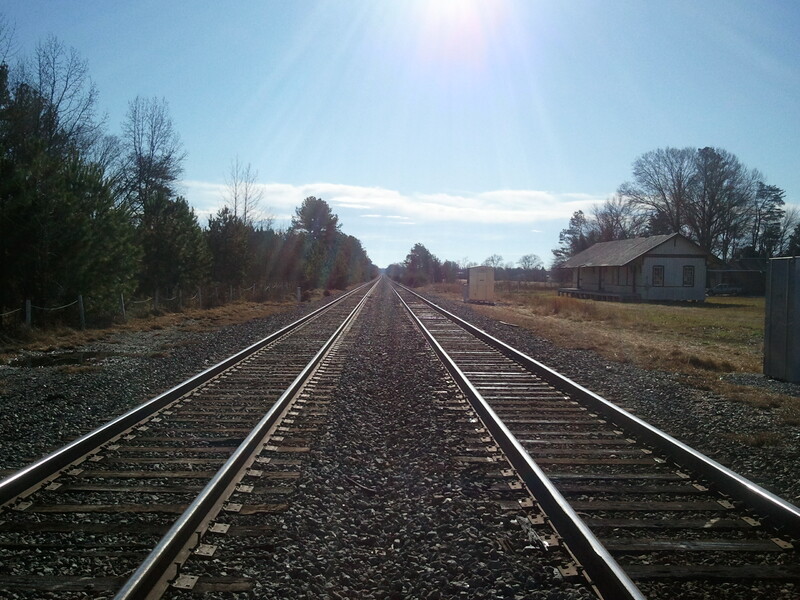 What I see is a pair of train tracks heading straight into the distance. What I think of is forever, and heading to unknown destinations, and so many places I've never been. which is after all where this train is going. Last week, the weather was so beautiful that I was compelled to take pictures (on my phone, sorry) of my commute home. This week I'll share them with you. 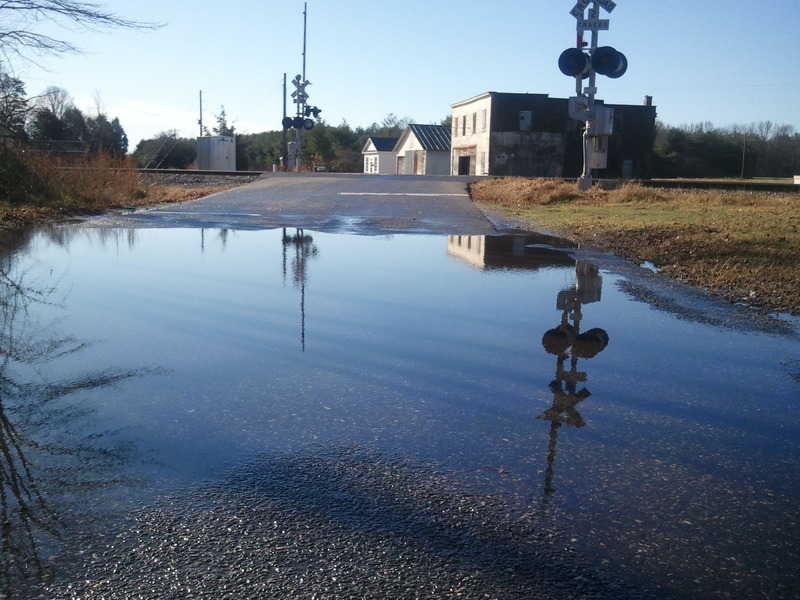 What I see here is a fabulous, large, awesomely reflective and wonderfully splash-worthy puddle that typically lasts for a few days after each rain. Beyond the tracks, a few old buildings gather around what must have been a train stop at one time. What I think is it would be a great treat to see those buildings as they once were, and wouldn't I just love to go exploring in that boarded up old store.